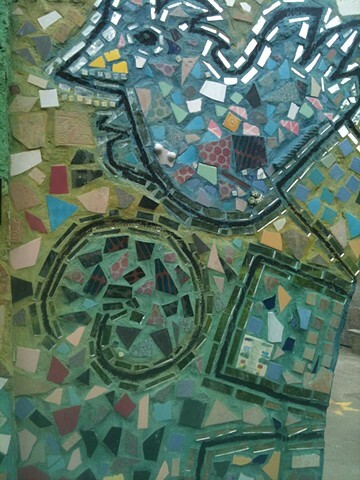 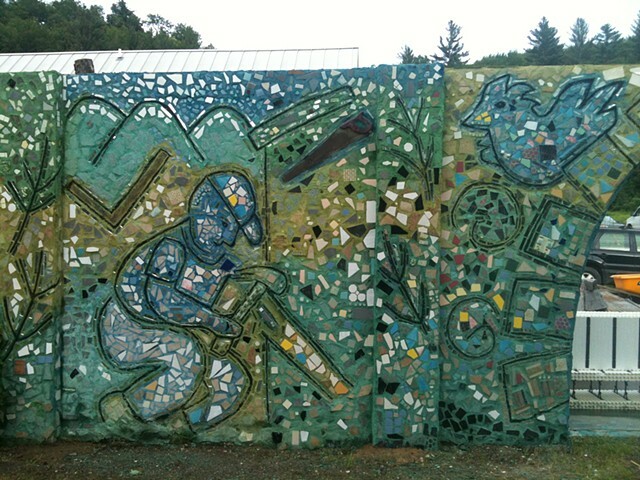 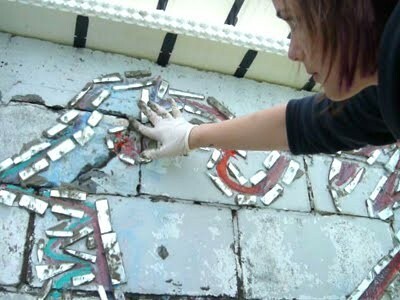 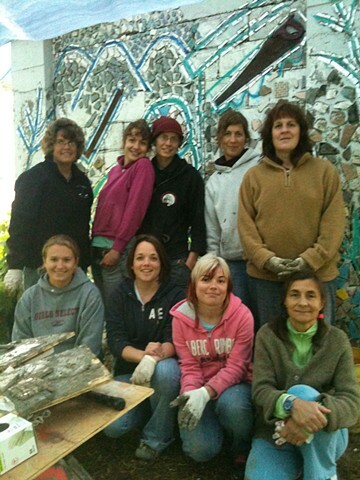 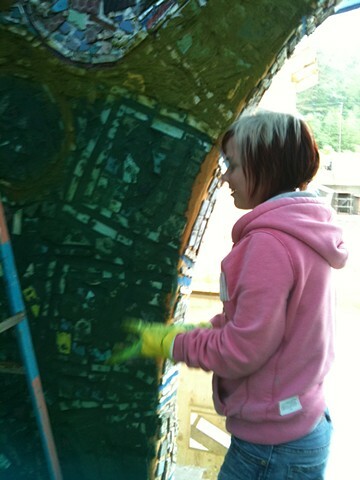 Using mirror outline, colored grout and ceramic shards, this mosaic mural was made using the direct method by students from the Yestermorrow Design/Build School. 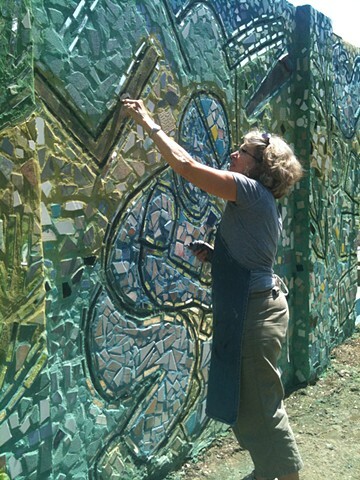 Bette Ann Libby's design was based upon website photos and inspired by the WPA projects. 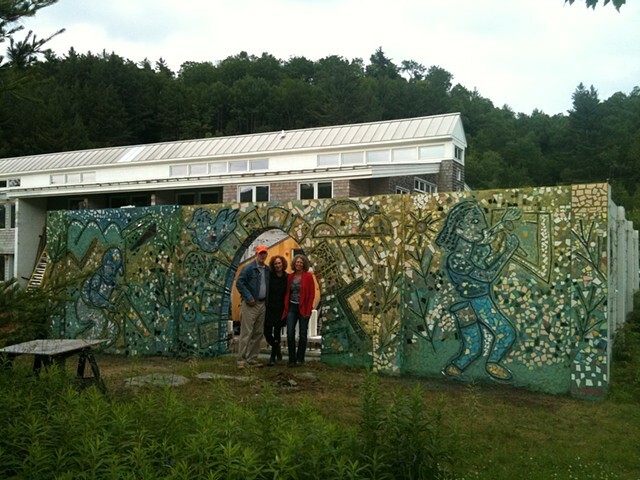 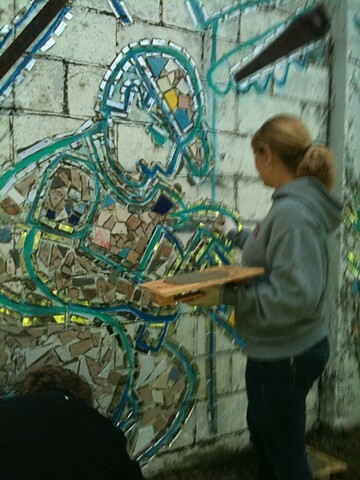 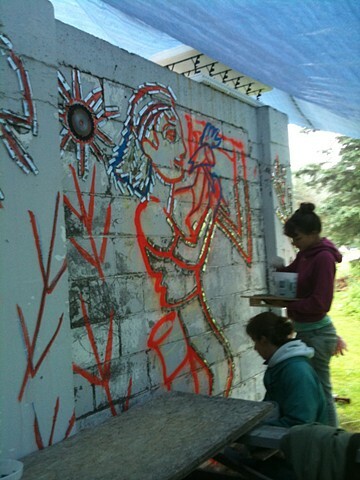 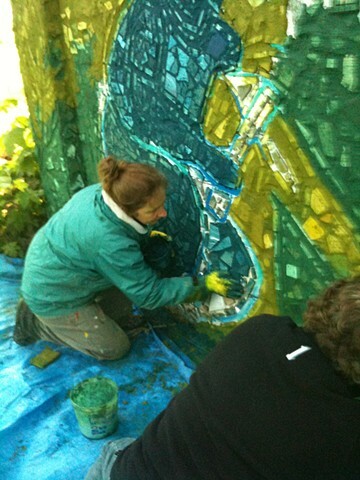 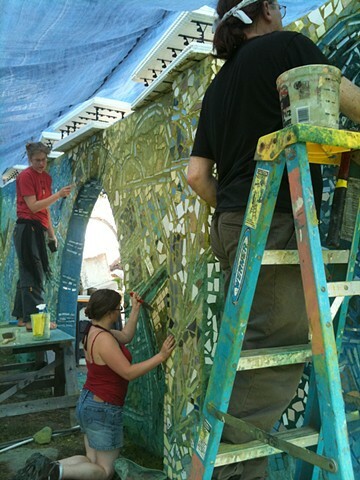 The 8 foot x 32 foot wall mosaic mural is on the school campus.